Yes, it seems that I’m smitten with Topotek 1’s work (see previous post.) 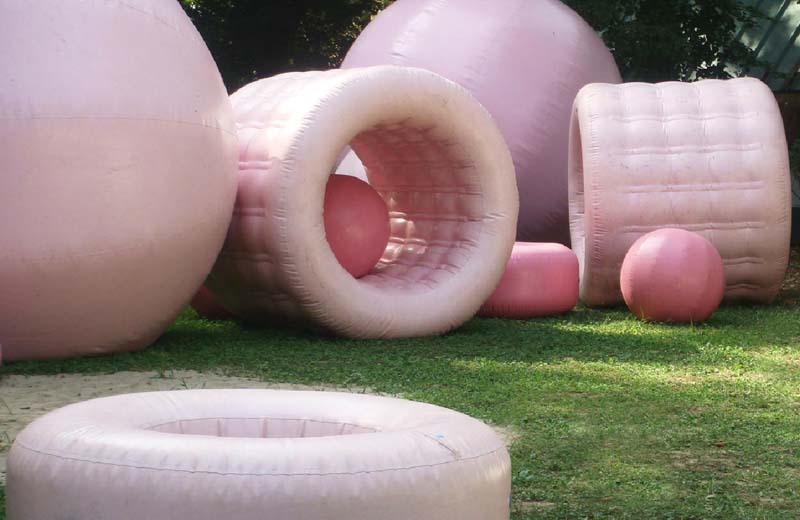 This cotton-candy pink temporary playground was created for the State Garden Show in Wolfsburg, Germany. It’s clear that color and fun are both things that these guys know how to work with well. 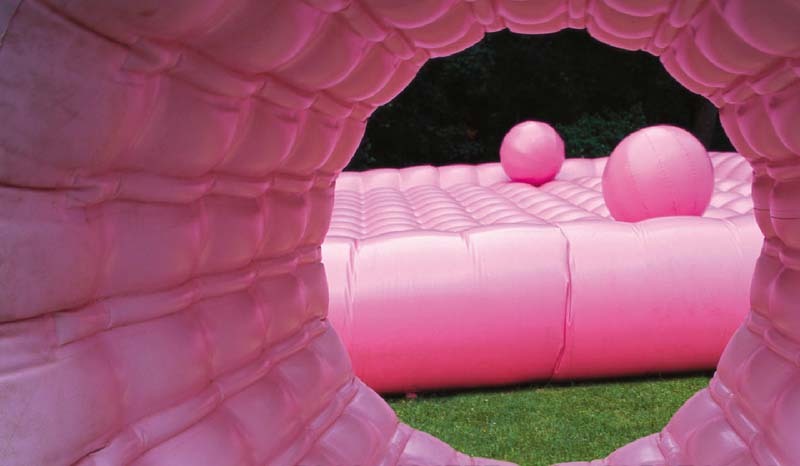 Twenty-four inflatable objects and fifteen cubes made of foam rubber were strewn across a lawn along with bouncy mats that beckoned to any passer-by. Inspired by grazing horses, young-girls’ romanticism and a Barbie-doll world, this temporary structure is part sculpture part interactive play object. A more recent garden show installation, in fact going on right now, is in Hamburg and includes wacky Aqua Soccer and Dymaxion Golf. Check it out here. All photos courtesy the architects and fandisk256’s flickr.